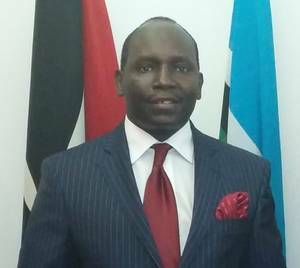 The Embassy is in the process of acquiring the East Africa ePassport system. We will publish the exact commencement date and the application information on this page soon. All inquiries hitherto should be directed via email to immigration(at)kenyaembassyberlin.de. 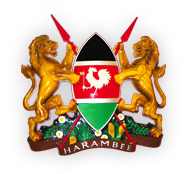 I am privileged and honoured to welcome you to the official website of the Embassy of the Republic of Kenya in Berlin, Germany. The site is a treasure trove for news aficionados and those seeking specific assistance from the Mission. The site capsulizes key sectoral information inter alia, tourism, investment, trade, agriculture and further invites the reader to sector-specific government websites. Geostrategically, Kenya is the regional anchor state, a communication hub and is the gateway to Africa's hinterland, including Regional Economic Communities (RECs) namely EAC, COMESA and SADC. Kenya is imbued with a rich and diverse landscape. It is a magical mosaic and a tapestry of arresting natural sights, culture, game and is home to the BIG FIVE and the finest long-distance athletics in the world. This platform now enables Kenyan citizens - visiting or residing in Germany, Romania and Bulgaria to register online and access our services. Guided by the need to reach out and enhance swift service delivery, the Mission has engaged two Honorary Consulates in Hamburg (Germany) and Sofia (Bulgaria). The Embassy is further considering expanding its foot print of Honorary Consulates in strategic cities in the countries of accreditation. For more information, kindly contact the Embassy.